Shoe Rack (5 Tier) for £11.99 - IT'S BACK! The 5 tier shoe rack is back for £11.99. Just click redeem under the price in the promotions area. Great product for tight spaces. I have a similar one and it’s just great. Thank you very much for sharing that photo, very useful to see size etc. Tom mine is bigger, Acorn Fort S201. 10 Tiers Shoe Cabinet Tower Storage Organizer Shoe Rack Stand 58 x 28 x 170cm with Oxford Fabric Dustproof Cover Hold Up To 30 Pairs Shoes. Because of the tight space I couldn’t all 10 tiers and the cover wasn’t necessary. 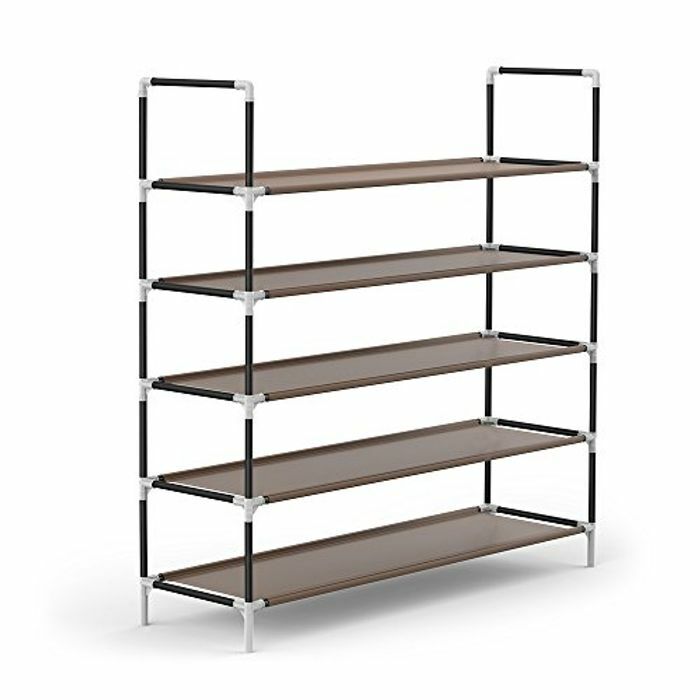 Bought one of these a while ago and even at only 4 shelf height it is absolutely useless. Fell apart. Complained and they gave me a full refund. Bought the 10 tier one and only using 4 tiers because it doesn't support itself enough. Definitely wouldn't buy it sadly. We're looking for something more sturdy next time, just a warning before you buy. The reviews weren't as bad until a few people from here had received.